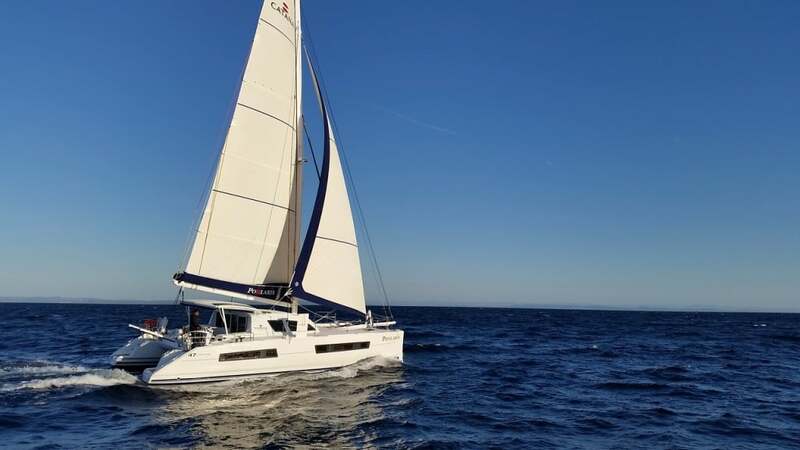 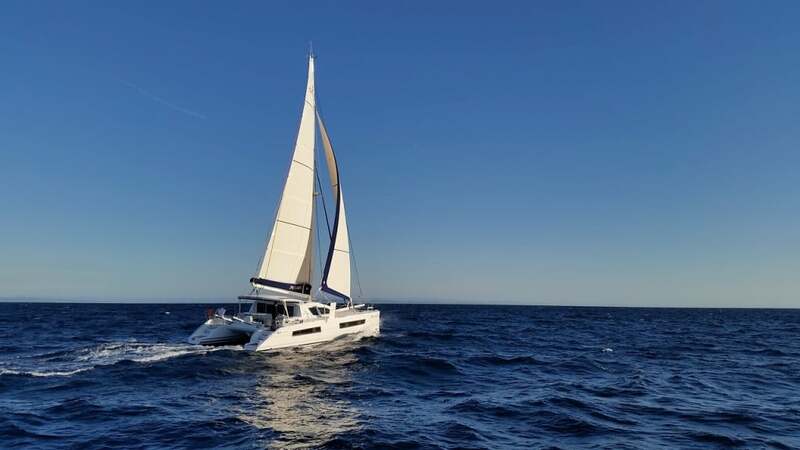 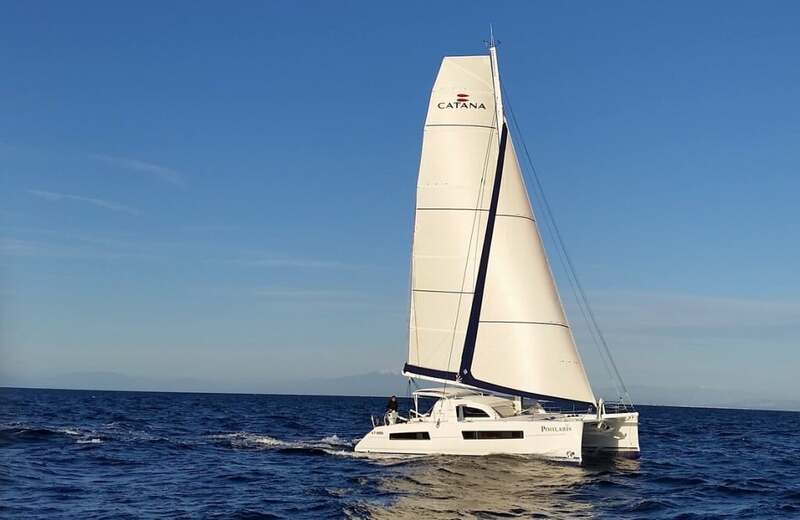 The superb and legendary Catana 47 has evolved through several generations of Catana to become the perfect fast ocean cruiser of choice for discerning owners. The latest generation of carbon-infused 47’s are exceptional yachts with few true competitors. 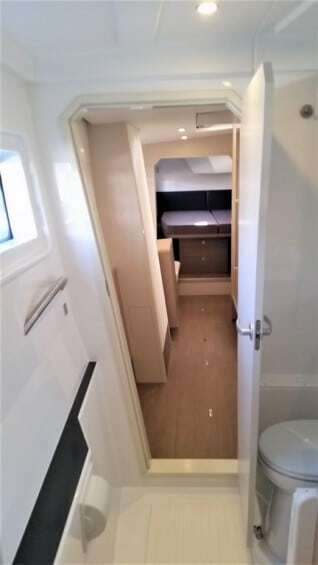 The highly popular owners 3 cabin version or the 4 cabin family version can accommodate 6-8 people for long passages in the highest of comfort. 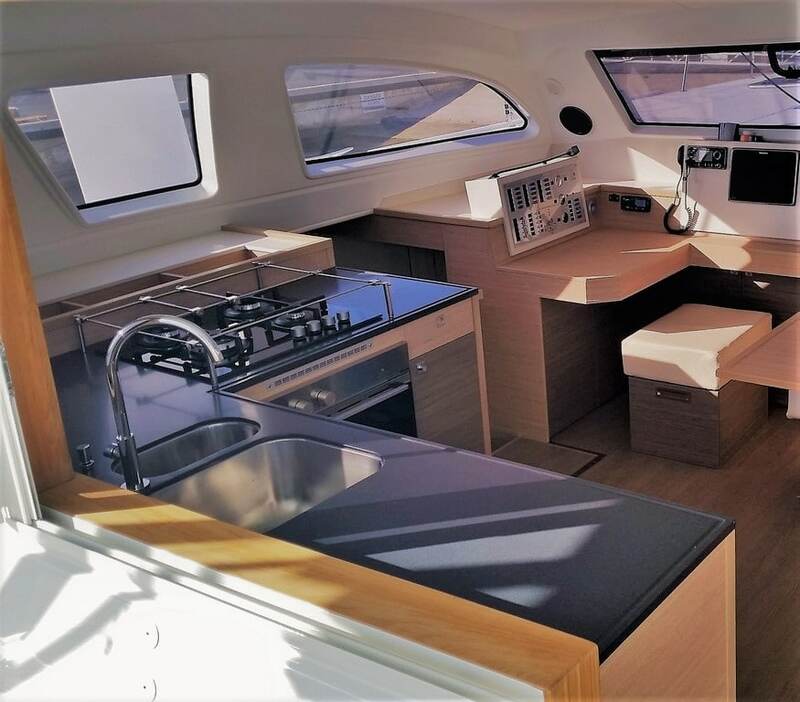 The light and spacious interior provides luxurious convenience for long term liveaboard, a voyage around the world or short passages anywhere the owner chooses. 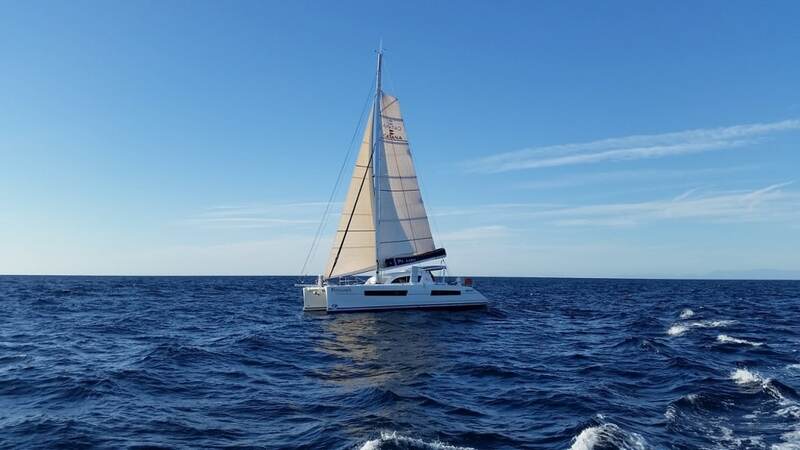 Designed to be easily handled by a couple or even single-handed with all main controls running back to the cockpit, including the simple yet highly effective slab reefing system, and multi-use powerful electric winch, it all makes for easy sailing with total peace of mind. 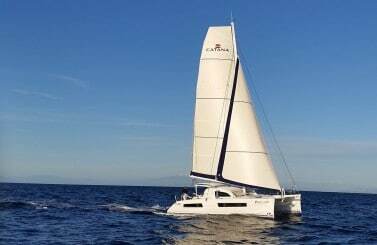 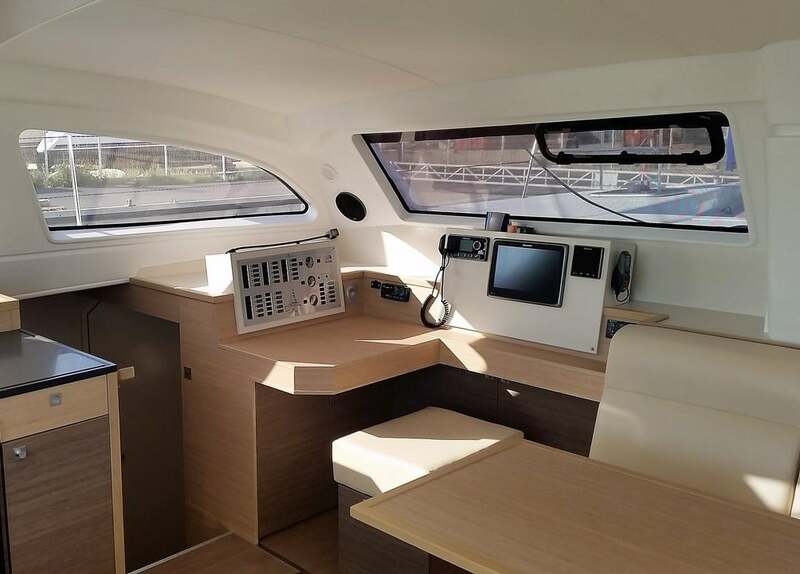 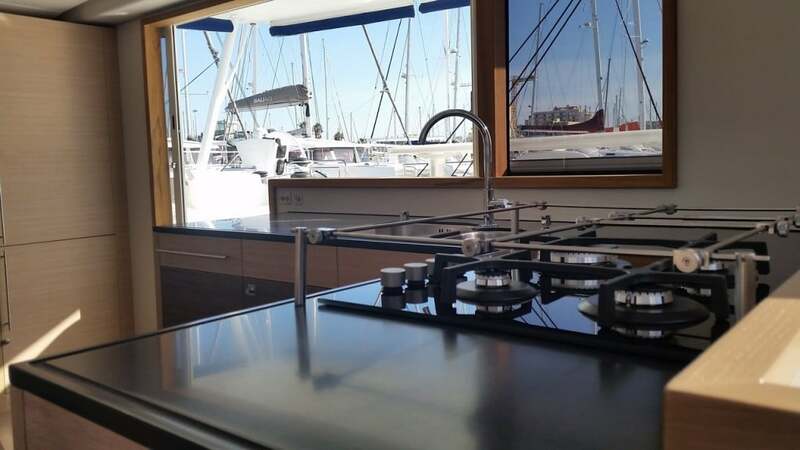 From the helm the Catana 47 proves to be easy to helm. All the main instruments are mounted in the cockpit with all lines and sheets readily to hand, the ergonomics are all designed for easy short handed operation in complete safety. 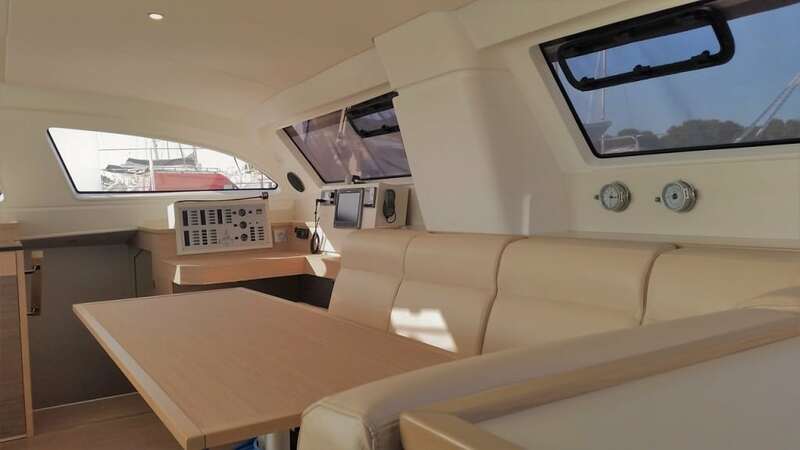 You are at the control of a high performance catamaran capable of maintaining high speeds over long distances. 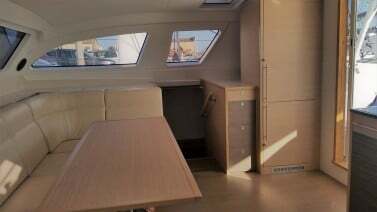 It is possible to sail up to 25 knots as has been achieved during testing and sea trials, and in light winds it will often equal wind speed. There is a great sensation of acceleration whilst remaining stable, comfortable and thanks to the high bridge-deck clearance, a very quiet ride. 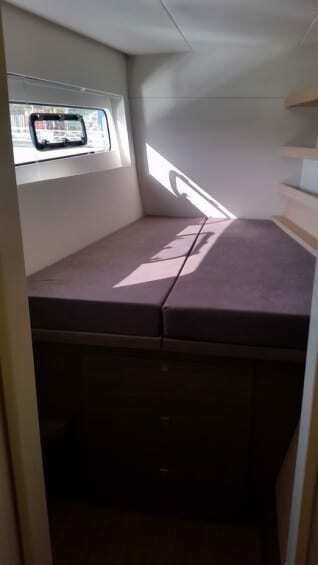 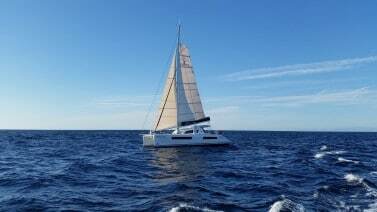 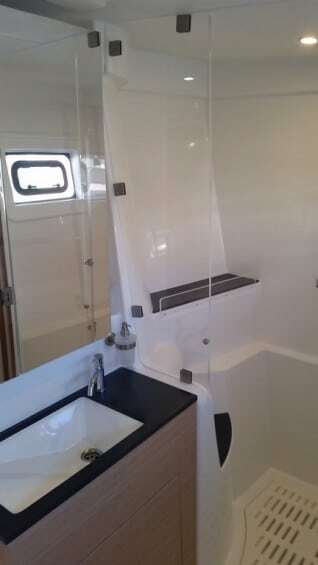 It is truly the best performance catamaran in it’s class.